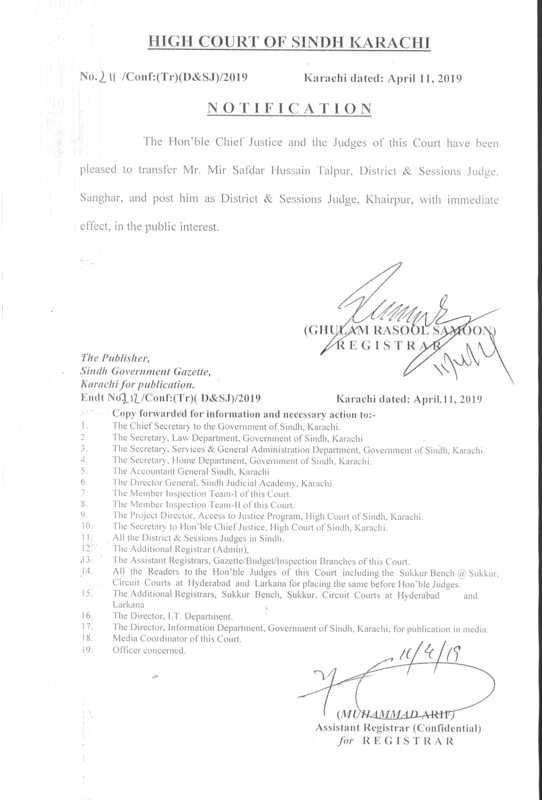 Mr. Ghulam Nabi Soomro, Judge Sindh High Court was born on April 27,1942, thus setting a trend of an interesting series of events on the 27th. 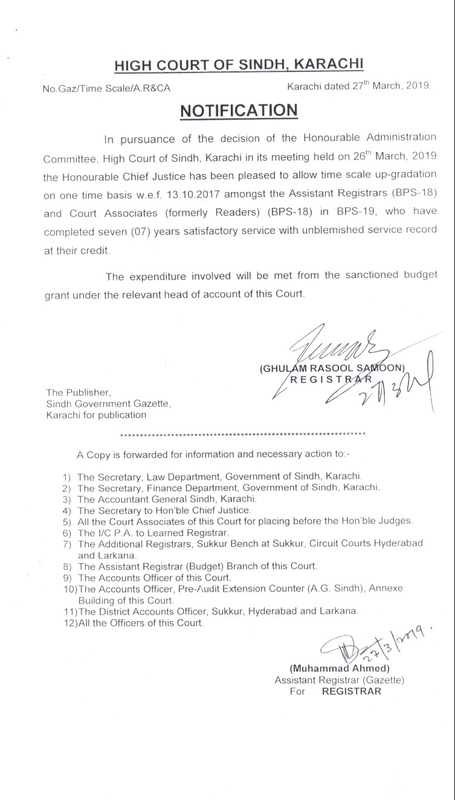 Mr. Soomro was enrolled as an advocate on September 10, 1970 after passing his B.Sc., LL.B. and M.A. in Political Science in 1964, 1967 and 1969 respectively from Karachi University. 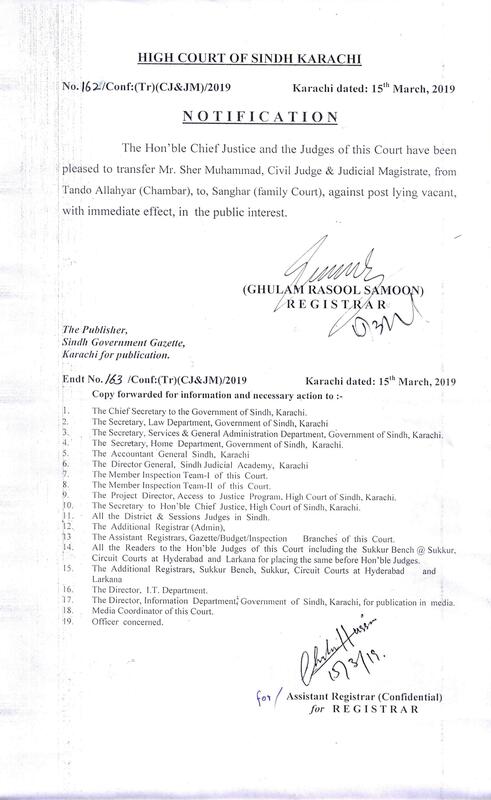 He joined Mr. Khalid M. Ishaque, Senior Advocate, Supreme Court, Mr. Nasir Aslam Zahid (Retired Judge, Supreme Court of Pakistan), Mr. Nizam Ahmed (late ex-Judge of Sindh High Court) and Mr. Rauf Ahmed, Advocate, in a firm of Advocates known as Khalid, Rauf, Zahid and Nizam Advocates of Karachi. In 1973, the same year his father expired. 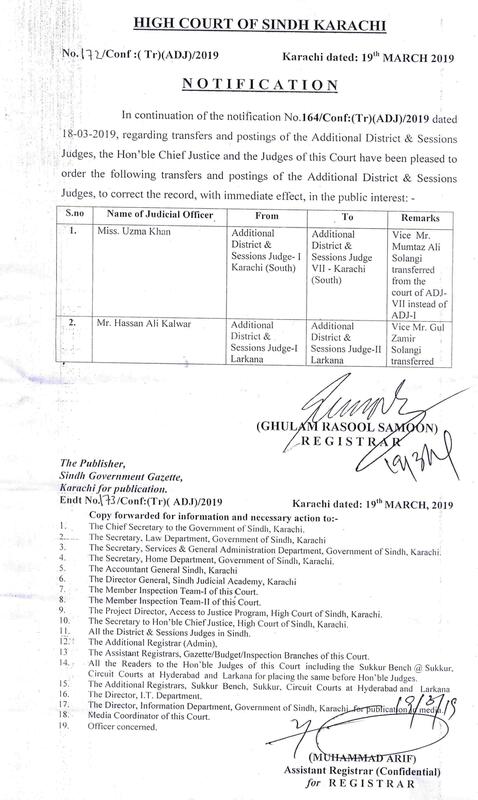 He came to Dadu Town and continued legal practice as an Advocate. 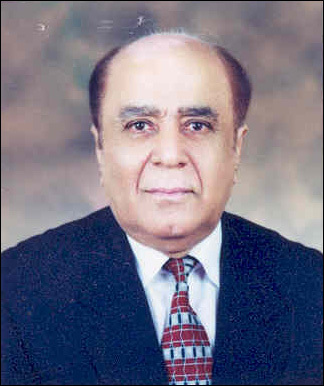 He remained Assistant Public Prosecutor and Assistant Government Pleader from 1973-1979. 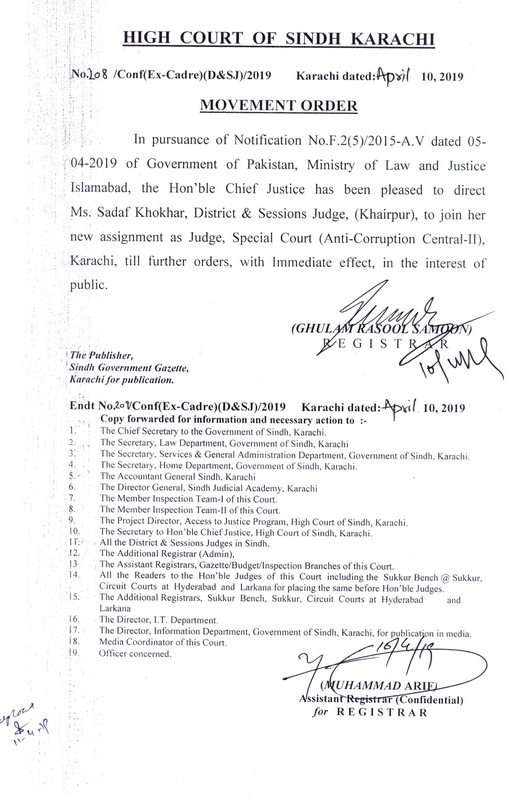 He remained President of District Bar Association, Dadu for three terms. 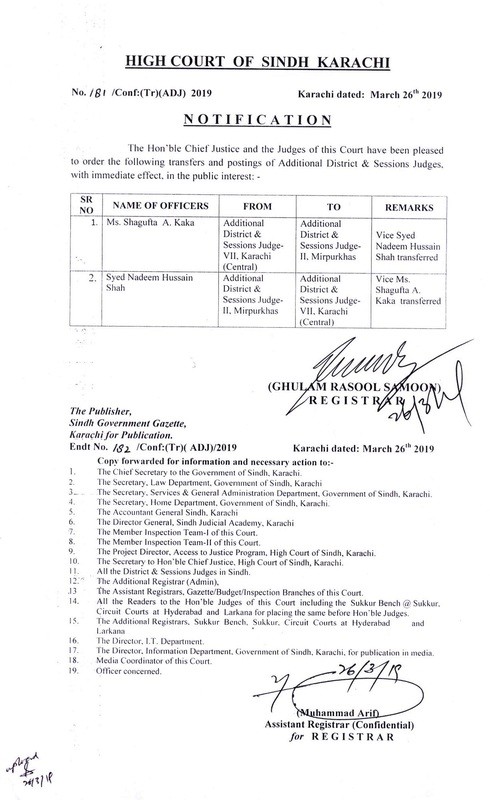 He was the first elected Member of Sindh Bar Council from Dadu District for five years, i.e. 1979-1984. 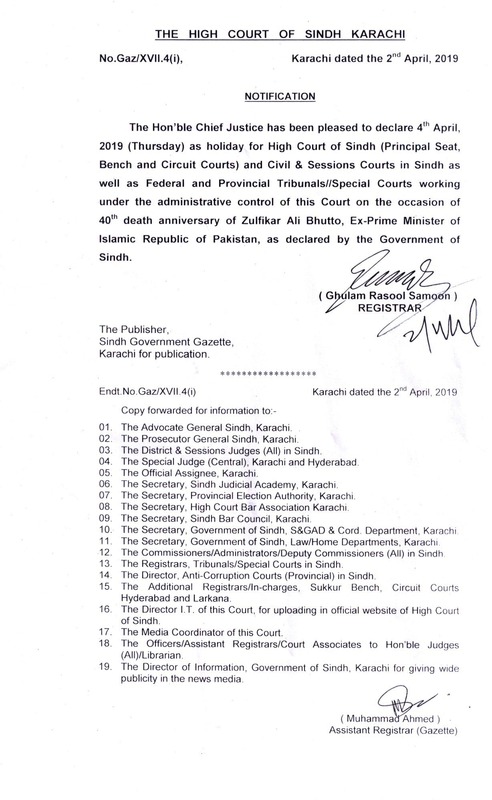 On May 12,1980 he was enrolled as an Advocate of High Court of Sindh. He possesses more than 25 years of splendid experience, practice before the Hon'ble High Court and Sub-Ordinate Courts. 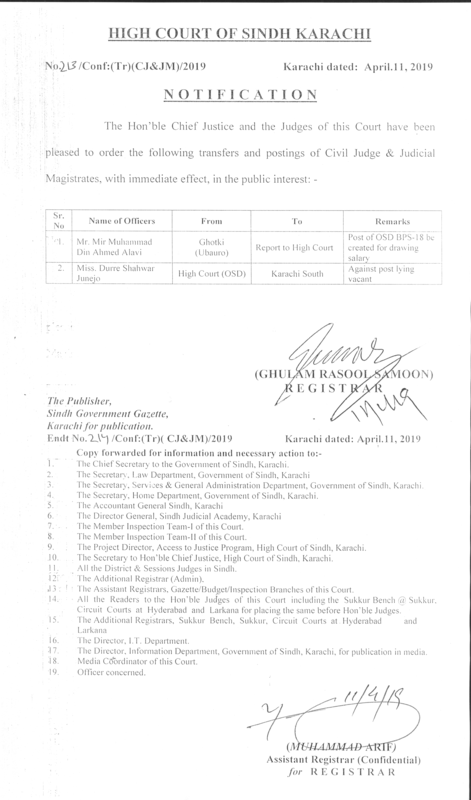 Like mentioned before, he carries an interesting autobiography of events occurring on the 27th, such as he was born on 27th, he was assigned the post of Additional Advocate General of Sindh on 27th March 1997. 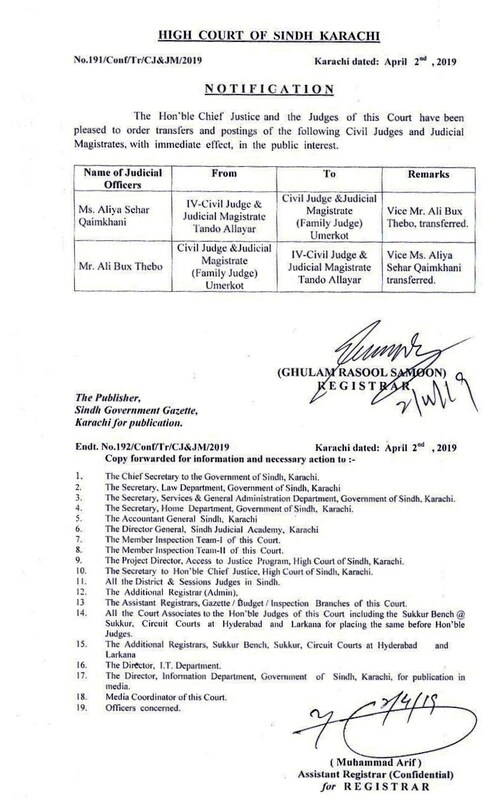 He was elevated to the Bench of High Court of Sindh on May 27, 1998 and got confirmed on May 27, 1999. Apart from his professional caliber, during College days he remained Senior House Monitor in Jamia Millia College Malir Hostel. He remained well-known Volleyball Player and was awarded colours by the Karachi University. 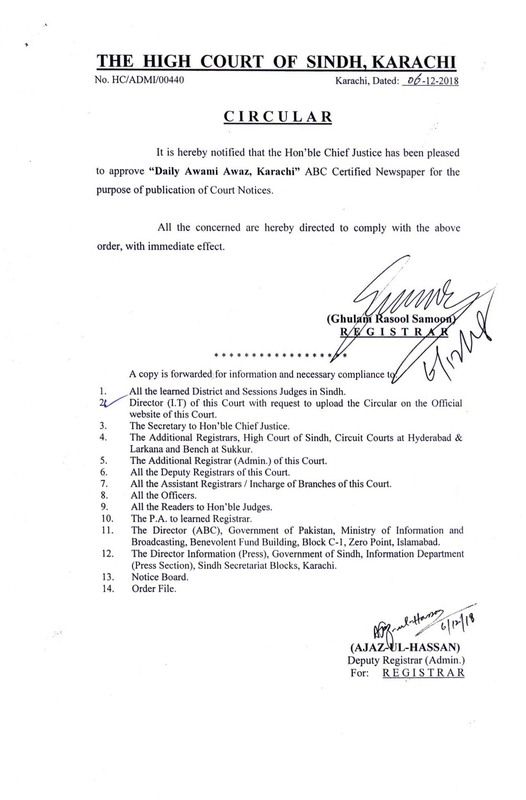 He was elected Vice Chairman of Patients Welfare Society, Civil Hospital and Chairman of District Anti-T.B. Association, running a charitable hospital in Dadu. 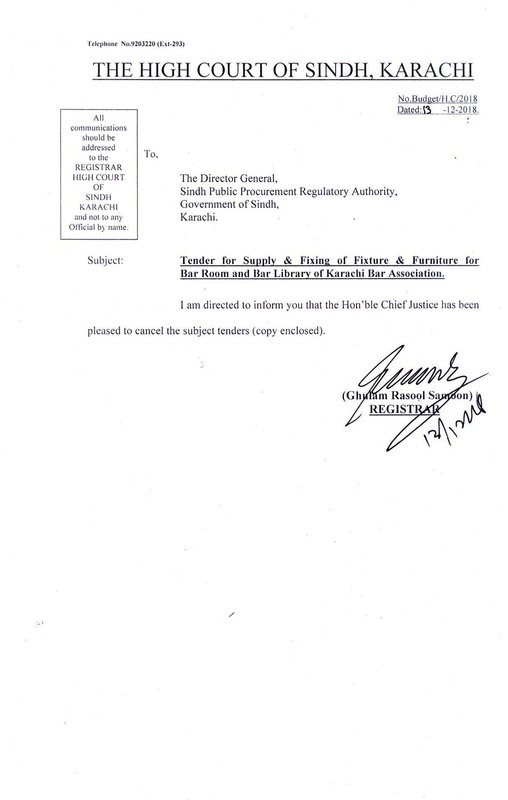 Presently, he is Chairman of Service Tribunal for Sub-ordinate Judiciary.